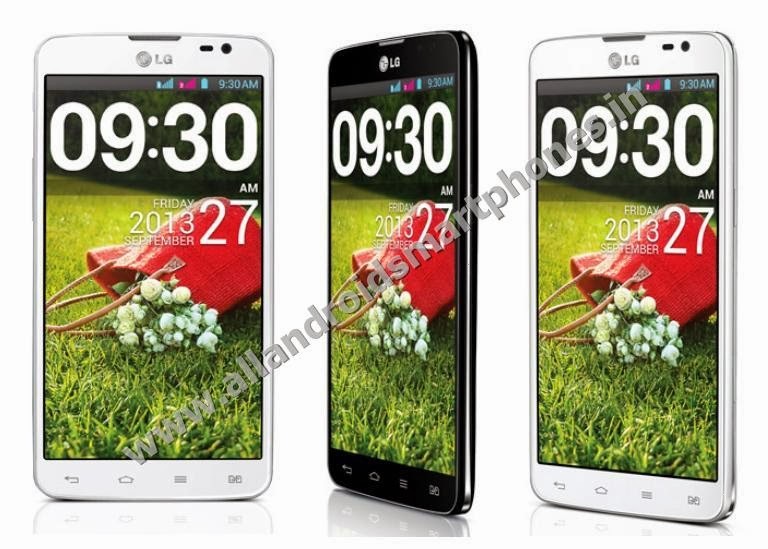 LG Pro Lite Dual D686 3G Android Phablet Features Review & Price. ~ All Android Smartphones Mobile Phones Tablets Review Price. LG Pro Lite Dual D686 3G Android Phablet Features Review & Price. LG Pro Lite Dual D686 is a Dual Sim 3G Android Phablet with 5.5 inch IPS LCD Capacitive 16M colors Touchscreen capable of 540 x 960 pixels display resolution and 200 ppi pixel density with multitouch support. The Phablet dimensions are 150.2 x 76.9 x 9.4 mm and it weighs only 161 grams. The stylus phone supports loudspeaker with stereo speakers, 3.5 mm audio jack for headsets and Vibration, MP3, WAV ringtones for notifications and call alerts. The Phablet has 8 Gb of internal phone memory with 1 GB RAM and the memory space can be further extended up to 32 GB using external microSD card. The phone uses 8 MP main rear primary camera with 3264 x 2448 pixels resolution and supports digital camera features like Autofocus, LED flash, Touch Focus, Face Detection, Panorama and Video record support 720 pixels @ 30fps. The secondary front camera is of 1.3 MP which can be used for video chat. The Phablet runs Android v4.1.2 Jelly Bean OS with Mediatek MT6577 Chipset Board, Dual-core 1 GHz Cortex-A9 CPU and PowerVR SGX531 GPU. The phone supports smartphone sensors like Accelerometer, Compass & Proximity. The dual sim Phablet uses Li-Ion 3140 mAh battery which gives talk time up to up to 14 hours 30 minutes and standby time up to 845 hours. The smartphone comes in White, Black colors. Explore LG Pro Lite Dual D686 Dual Sim Android 3G Phablet Smartphone Features, Specifications, Images, Photos, Comments, Details, Review and Price in India. The Phablet supports Class 12 GPRS & EDGE, 3G speed HSDPA 7.2 Mbps, HSUPA 5.76 Mbps, WLAN Wi-Fi 802.11 a/b/g/n, dual-band, Wi-Fi Direct, DLNA, Wi-Fi hotspot, Bluetooth v3.0 with A2DP, Infrared port, microUSB v2.0, Threaded view SMS, MMS, Email, Push Mail, IM, RSS, HTML5 browser, FM radio, GPS with A-GPS support and GLONASS and Java via Java MIDP emulator. The Android Phablet runs on 2G frequency of GSM 850 / 900 / 1800 / 1900 and 3G frequency of HSDPA 850 / 900 / 1900 / 2100. The phone doesn’t support 4G network. The Dual Sim LG Android Phablet uses Mini-SIM type sim card. The video formats supported are MP4, H.264, H.263, WMV, DviX player and audio formats supported are MP3, WMA, WAV, FLAC, eAAC+, AC3 player. The preinstalled apps include Google Play Store, Google Search, Gmail, GTalk, Android browser, Push email, Alarm, Calendar, Calculator, Clock and YouTube. Other features include SNS applications, Active noise cancellation with dedicated mic, Photo viewer / editor, Document viewer / editor, Organizer, Voice memo / dial / commands and Predictive text input. The box contents include handset, headset, battery, electric charger, USB data cable, user manual and warranty card. Also check Lenovo Vibe X960 3G Full HD 5 Inch Android Phablet Features, Specifications, Images, Photos, Comments, Details, Review and Price in India. 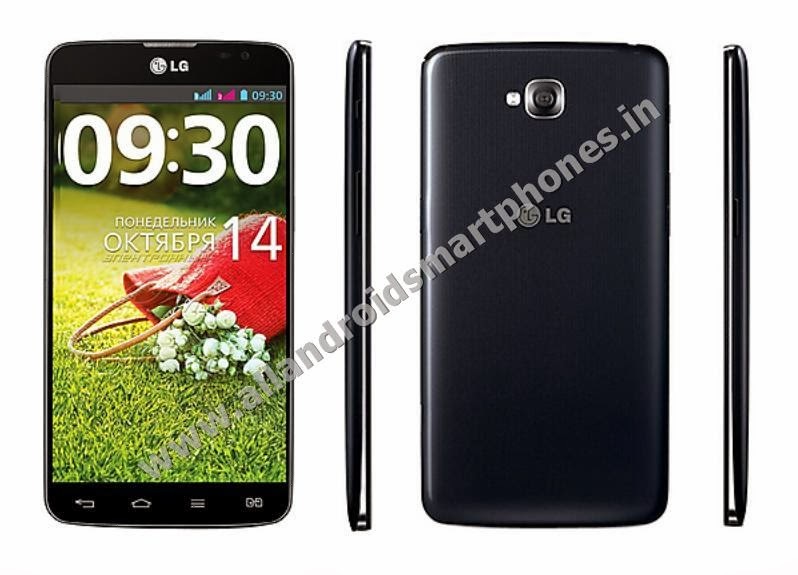 Features and Specifications of LG Pro Lite Dual D686 Android Phablet. 150.2 x 76.9 x 9.4 mm. Android v4.1.2 Jelly Bean OS. Dual-core 1 GHz Cortex-A9 CPU. 8 GB internal storage & 1 GB RAM. 540 x 960 pixels display resolution. Yes, Available with Stereo Speakers. Class 12, (32 - 48 kbps speed). HSDPA 7.2 Mbps, HSUPA 5.76 Mbps. Wi-Fi 802.11 a/b/g/n, dual-band, Wi-Fi Direct, DLNA, Wi-Fi hotspot feature supported. Bluetooth v3.0 with A2DP supported. 8.0 MP Camera, 3264 x 2448 pixels. Autofocus, LED flash, Geo-tagging, Touch Focus, Face Detection, Panorama & Video Record 720 pixels @ 30fps. GPS with A-GPS support & Glonass. Google Play Store, Google Search, Gmail, GTalk, Android browser, Push email, Alarm, Calendar, Calculator, Clock and YouTube. up to 14 hours 30 mins. 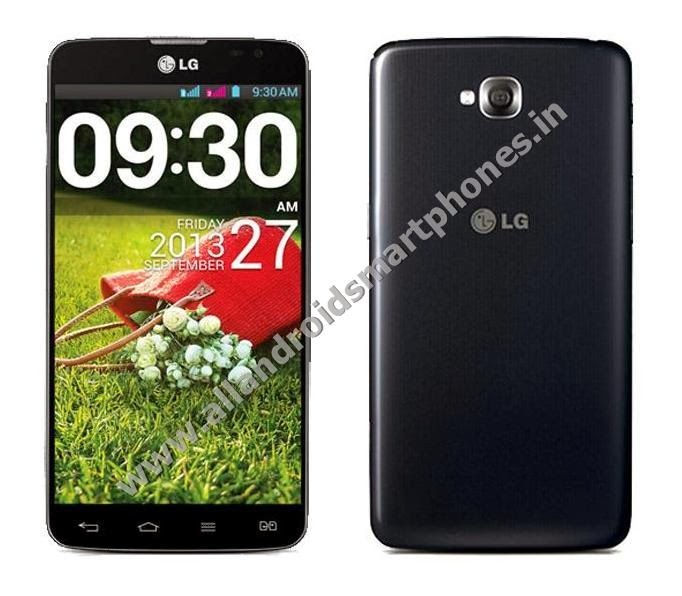 The Price of LG Pro Lite Dual D686 Dual Sim Android 3G Phablet in India is around Rs. 18,500 /- only.